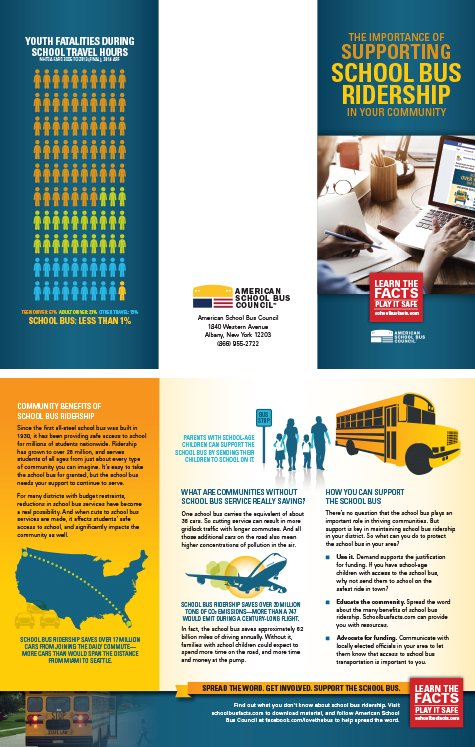 The following resources are available to help communities learn about the benefits of school bus ridership, keep children safe in and around the school bus, and support school bus ridership. 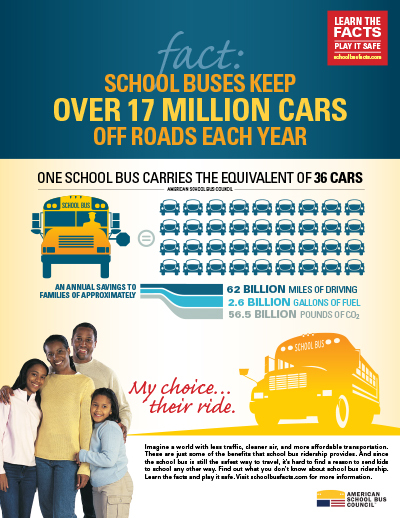 508-compliant, print-ready, 8 1/2 x 11 inch flier on the value that school bus ridership brings to the community. 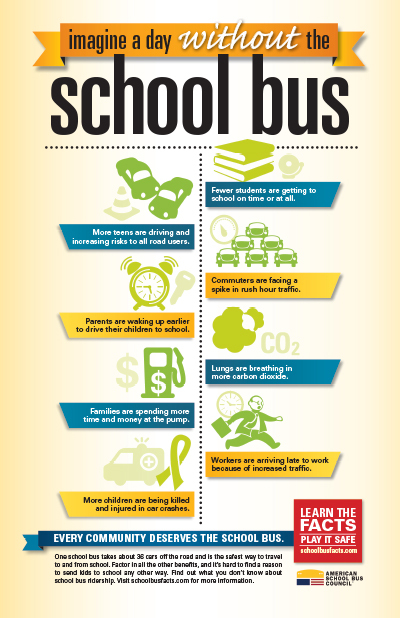 508-compliant, print-ready, 11 x 17 inch poster that imagines how the community would be affected without the school bus. 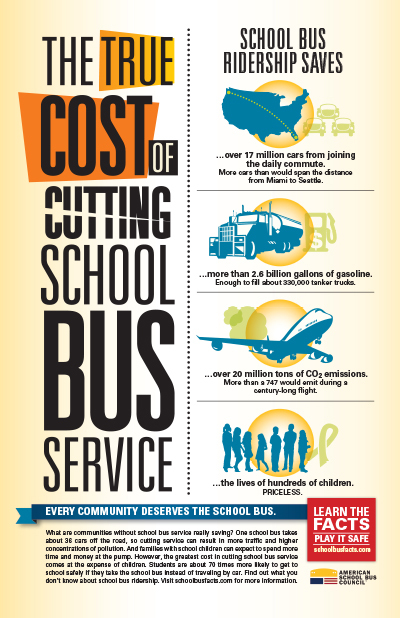 508-compliant, print-ready, 11 x 17 inch poster that illustrates the costs of cutting school bus ridership. 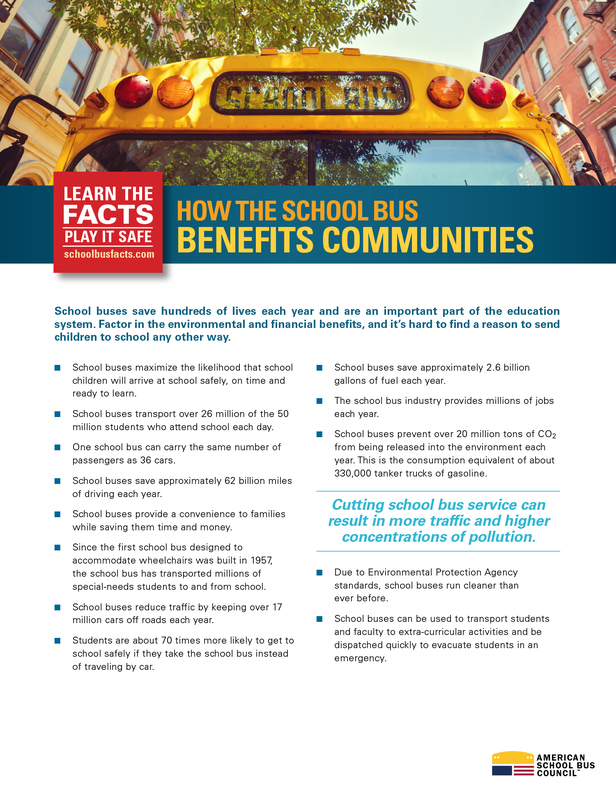 508-compliant, print-ready, 8.5 x 11 inch tip sheet that details the benefits that the school bus offers to the entire community. A drop-in article on the community benefits of school bus ridership. 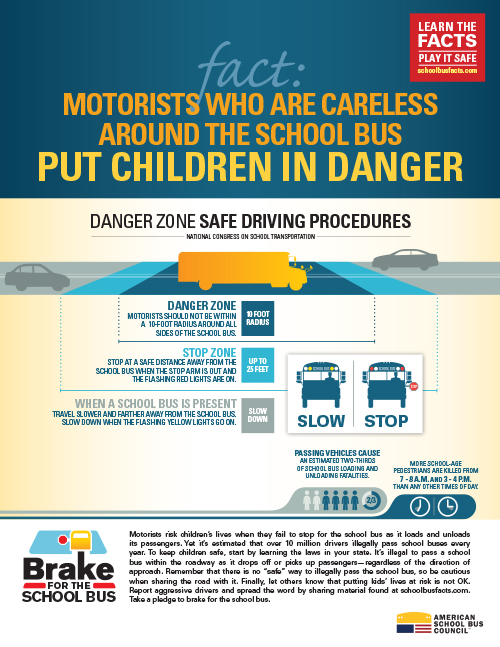 508-compliant, print-ready, 8 1/2 x 11 inch flier on how motorists can help keep children safe in, and around the school bus. 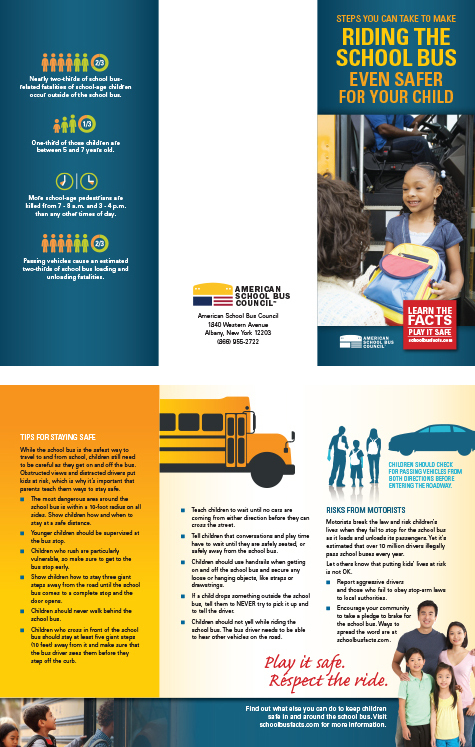 508-compliant, tri-fold brochure on ways families can help keep children safer in and around the school bus. 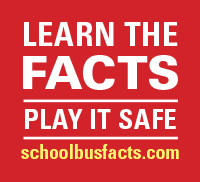 A PDF-formatted logo reminding motorists to always follow stop laws as the school bus loads and unloads it’s passengers. 508-compliant, print-ready, tri-fold brochure about material that is available to help spread the word about the school bus. 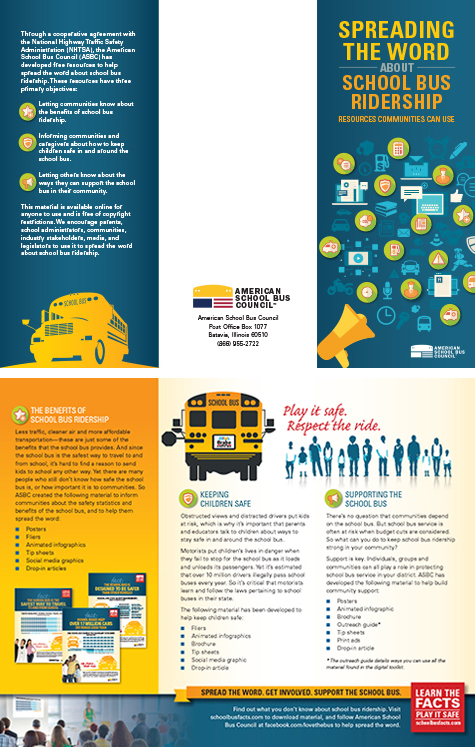 508-compliant, print-ready, tri-fold brochure on how to support school bus ridership in your community. 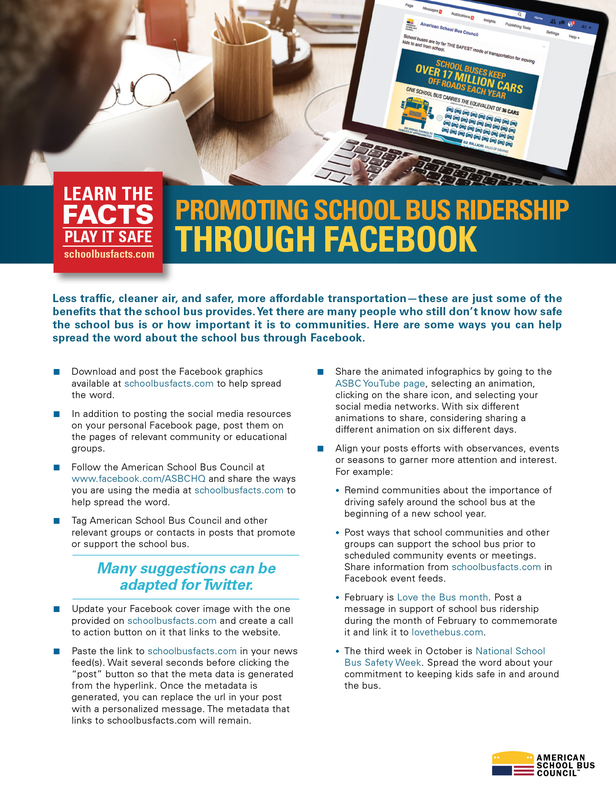 508-compliant, print-ready, 8.5 x 11 inch tip sheet that provides methods for using Facebook to support school bus ridership. 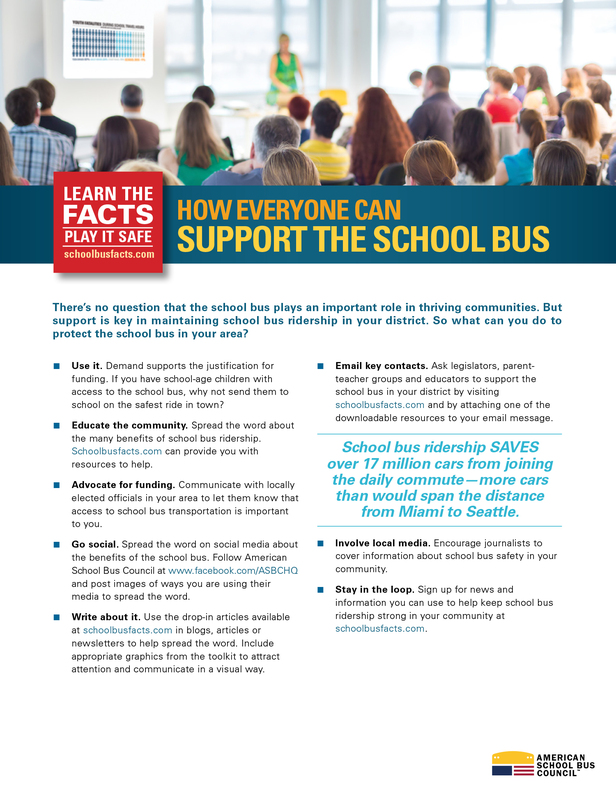 508-compliant, print-ready, 8.5 x 11 inch tip sheet on ways the entire community can support school bus ridership. 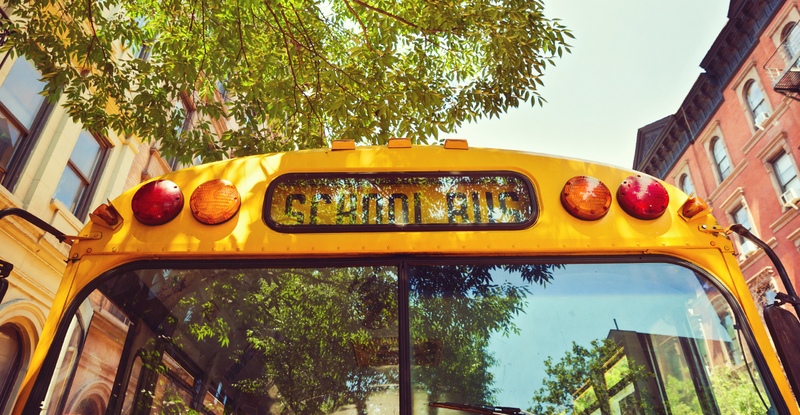 A drop-in article on ways the entire community can support school bus ridership.